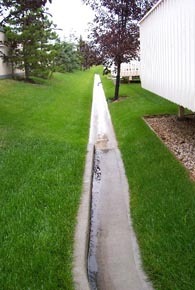 Drainage swales are shallow-sided, sloped channels intended for the conveyance of surface runoff. 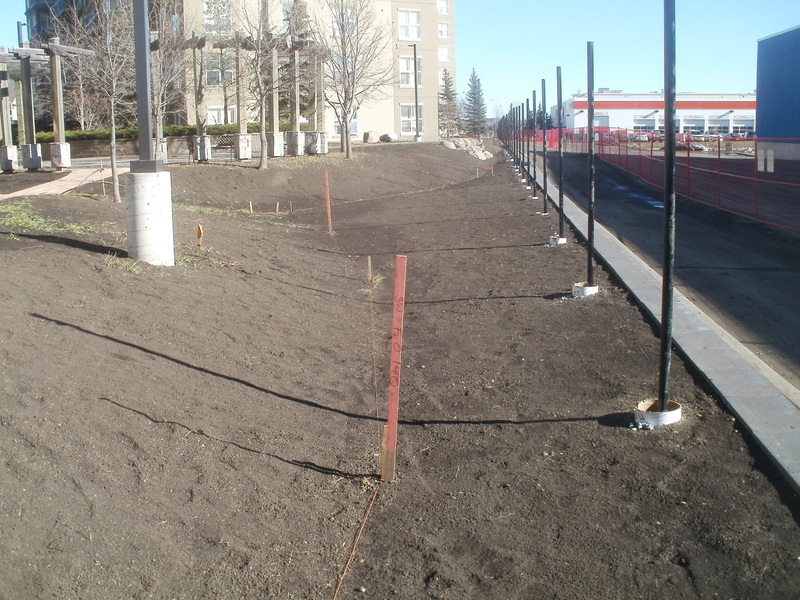 They are located between or around buildings and are graded to intercept and convey surface runoff to the nearest on-site catch basin, preventing lot-to-lot drainage. 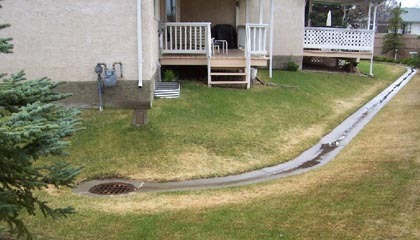 The minimum slope for a swale depends on the surface. 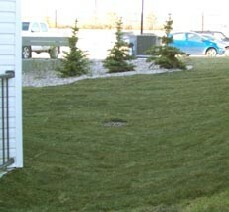 For other requirements for swales, refer to the lot grading drawings page.